Working within the dockyards, shipyards, engineering fabrication workshops or onboard vessels always requires people to wear the right protective clothing (PPE). Any person not knowing if they are in an area where they should be wearing protective clothing, should take the measure to wear protective clothing. Safety should always be first. Protective clothing includes but is not limited to, a regulation hardhat, none slip gloves, steel toe cap shoes with rubber soles (oil and electric resistant), reflective jacket. A persons safety and health can be effected through a quick act such as an accident in motion or over a long period of time by using the wrong equipment for a specific purpose i.e. furniture. The position of chair, height of desk, keyboard angle, screen brightness all effect our health. All engineering designs will be physically used by people. The safety of these people whilst working with, on, or around the item has to be taken into consideration. At MBM we take into account the practical aspect of using the object and also the unforeseen circumstances of people slipping, being involved with smoke and fire, unfamiliarity of the object, its surroundings, and the ergonomics of use of the new design. When a new common hindrance to human safety is identified, these are retained in our system and incorporate into all of our future designs. 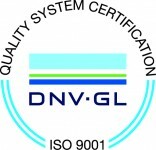 MBM Consultancy is approved through DNVGL for ISO-9001-2015. MBM Consultancy has always had its foundation and work ethic set on safety first with no compromise. The ISO-9001 approach will enable MBM consultancy to improve its good Project Management, Quality, and to assess risks within the project before they occur. Not all scenarios can be removed, as people will always be involved within the process, and equipment will not maintain its working capabilities in all scenarios. These will remain within the environment and it is each person’s responsibility to assist in reducing these potential issues to a minimum by maintaining a good working environment. MBM Consultancy achieved ISO 9001 in 2017 and continues to improve and deliver the industry highest standards.